A new two-minute questionnaire for parents could help pediatricians detect autism in toddlers earlier, at a time when intervention might be crucial, a new study indicates. Lead investigator Walter Zahorodny, associate professor of pediatrics at Rutgers University, says the Psychological Development Questionnaire (PDQ-1), had an 88 percent likelihood of correctly identifying which of the children that screened positive had autism spectrum disorder (ASD). The 1,959, 18- to 36-month-old children, who participated in the study, received screening through a network of cooperating pediatric practices in Essex and Union counties in New Jersey and were not known to have any developmental problems. The findings appear in the Journal of Developmental and Behavioral Pediatrics. Those who got low PDQ-1 scores were considered to be at risk of ASD and received comprehensive developmental evaluations to determine whether they were on the spectrum. The new screening test correctly identified autism in children from all socioeconomic communities. 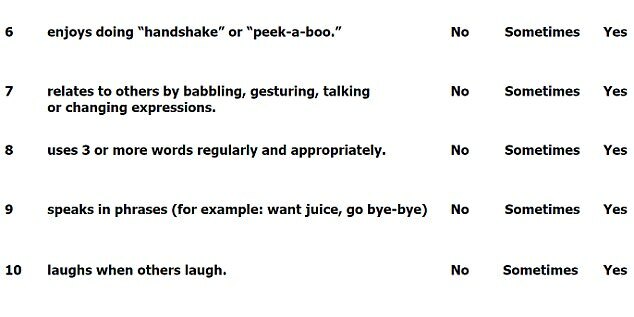 Some of the PDQ-1 questions posed to parents include whether the child points or gestures to show interest or get attention, responds to their name, enjoys playing peek-a-boo, speaks in phrases, and relates to others. 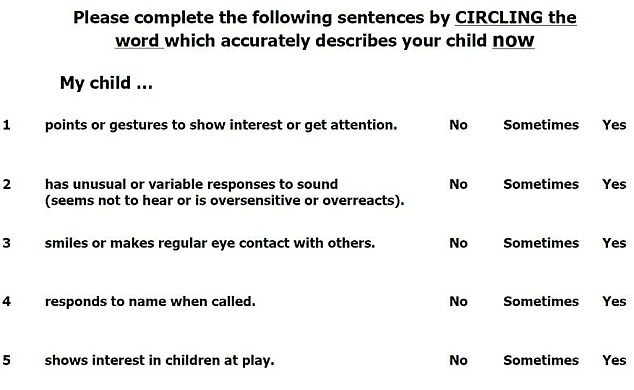 Zahorodny says the findings provide preliminary evidence in support of the questionnaire and suggest it may provide a practical alternative to the Modified Checklist for Autism in Toddlers and the follow-up (M-CHAT-R/F) which requires a telephone interview, in addition to screening. While the early detection of ASD is challenging, and no single behavioral or observational approach is likely to be reliable for all children, the researchers believe their new screening method is promising and deserves wider application and study. One in 68 children have ASD, the US Centers for Disease Control reports. It occurs in all racial, ethnic, and socioeconomic groups, and is three to four times more common in boys. Though the American Academy of Pediatricians has urged pediatricians to screen all children for ASD at 18 and 24 months, since 2007, it is estimated that only half of all children are screened at that age.